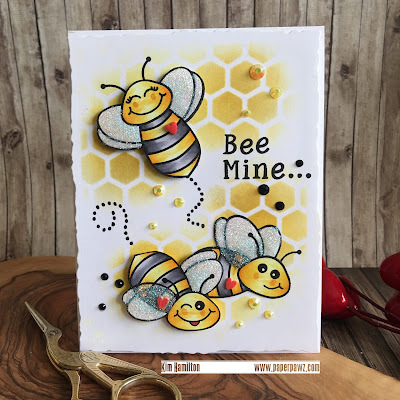 This card was such fun to make, look at the faces on those bees! There is a large selection of faces in the Build-A-Bee set that you can add, really fun stamp set. 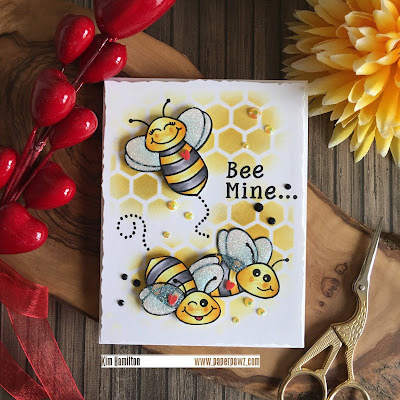 I started by die cutting my Neena 110lbs card panel with the Honey Bee Deckle Edge A2 dies and applied a mix of Mustard Seed, Fossilized Amber and a touch of Hickory Smoke (for added dimension) Distress Ink to my stencil in selected locations, I did not want the whole panel covered. 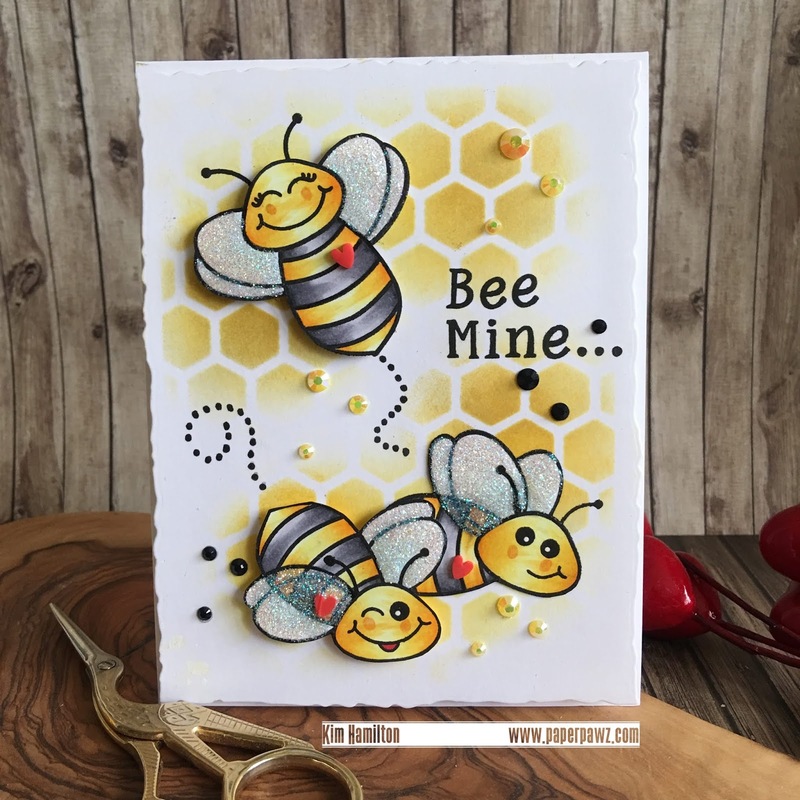 I then stamped and coloured my Bees with my Copic Markers and cut them out - I didn't order the dies, not too smart of me, lol but these are easy enough to cut out. I just re-stamped them on the card base for the antennae that I cut off. I glued my bees with some foam tape and my Nuvo glue for the bee in the back at the bottom. 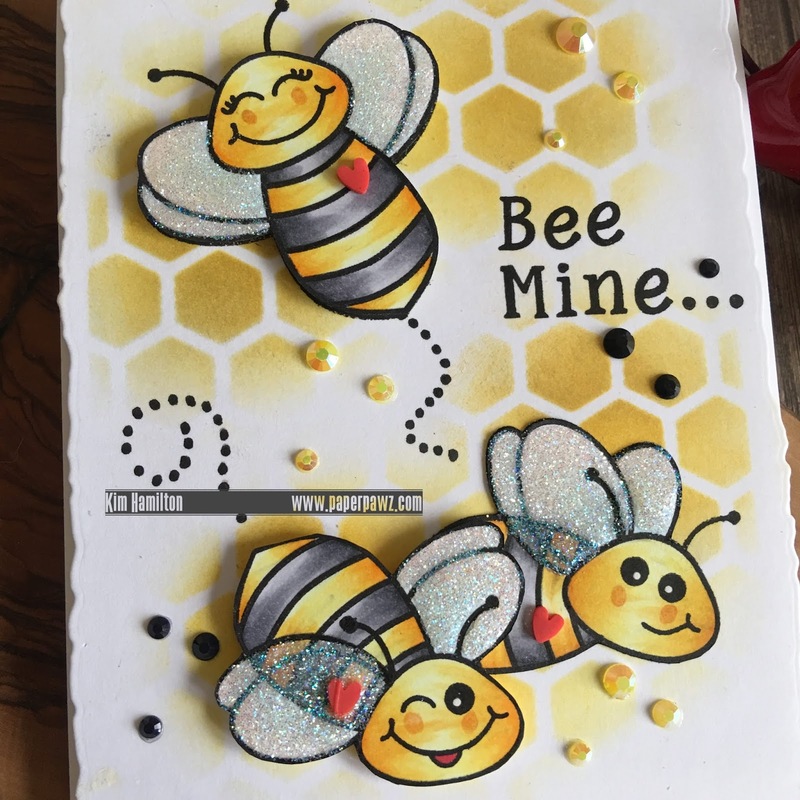 I stamped my sentiment and added a mix of yellow and black jewels and after all of that, I decided to use my Simon Says Stamp Unicorn Dust on the wings I love the effect that it gave my bees. Thanks so much for taking the time! All products used are listed and linked below, affiliate links used at no extra cost to you!!! Thank you for your sweet comment! Simon's re-stocks quickly, all you have to do is select the "notify me" option!